Development teams work on their websites at 48in48 at Rivian in Normal on Saturday, May 5, 2018. 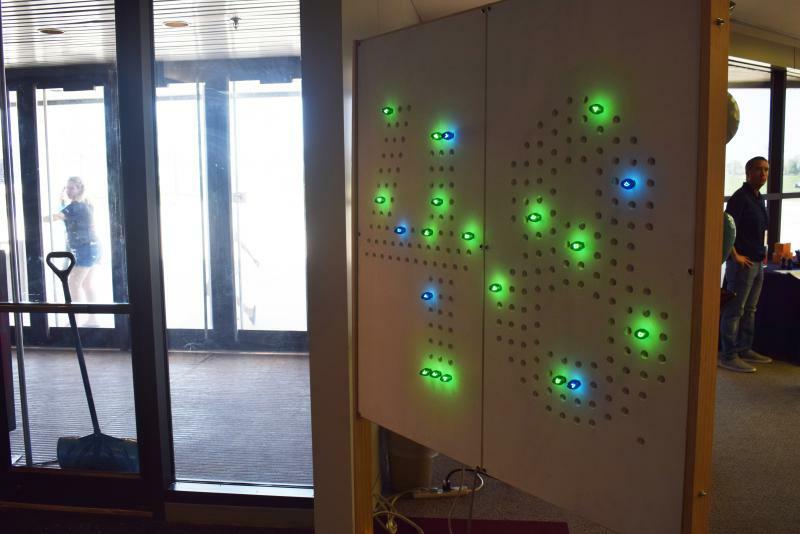 This 48in48 lighted display would get brighter and change colors as project teams made progress on their websites. 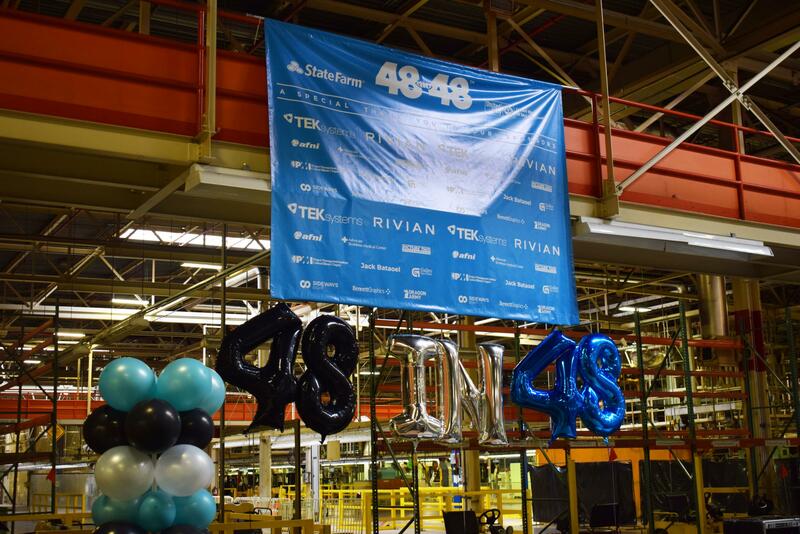 Rivian was the host of last weekend's 48in48 event in Normal. Let’s put it this way: The clinic moved to a new location in Normal 18 months ago. But they literally haven't been able to update their address on their website. It won’t be wrong anymore. 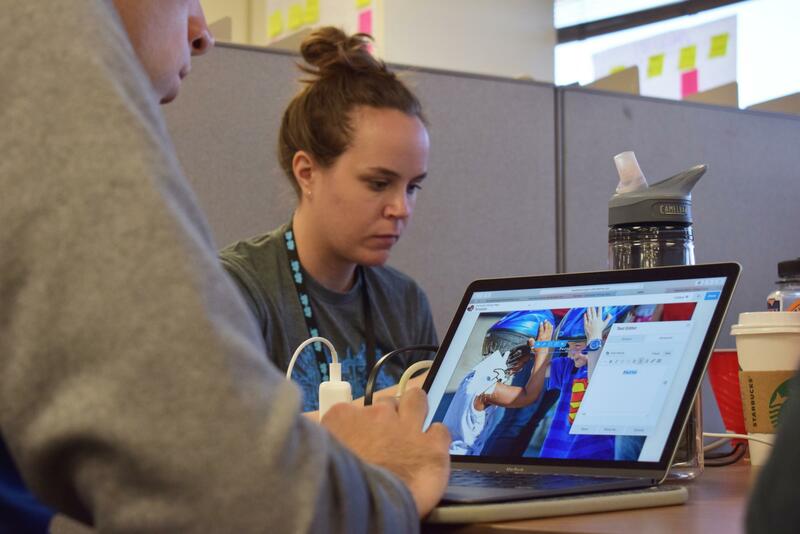 The clinic’s was one of 48 websites built for local nonprofits in 48 hours last weekend during the 48in48 event hosted at Rivian Automotive in Normal. 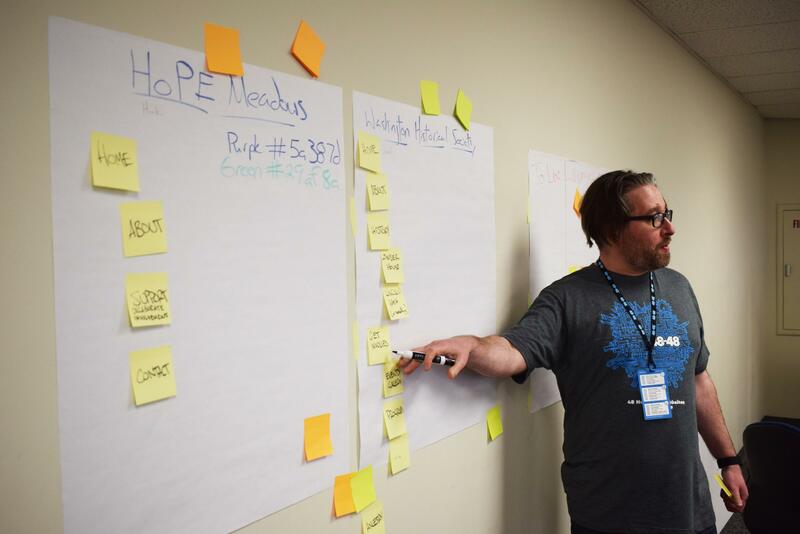 Tapping into an army of local technology and content professionals, the national 48in48 organization brought its hackathon-for-a-good-cause concept to Bloomington-Normal. “I’m totally geeking out just being here,” said Tejas Jani, who serves on the Community Health Care Clinic’s board and also works in tech at State Farm. More than 225 volunteers worked around the clock from Friday night till Sunday afternoon. 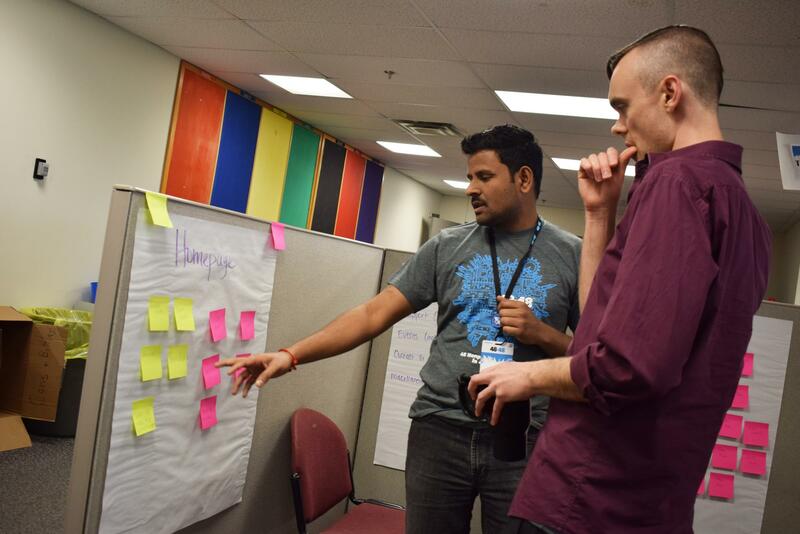 They split into around 22 development teams, each tasked with building websites for local nonprofits like the clinic, an animal rescue, a library, and the Boys & Girls Club, among others. Each site created is valued at more than $30,000, said David Taylor with United Way of McLean County, which co-sponsored 48in48 with State Farm. That means the clinic can spend that money instead on medication and services for its patients, said Executive Director Angie McLaughlin. And the new site will improve the clinic’s ability to raise money and recruit volunteers, she said. 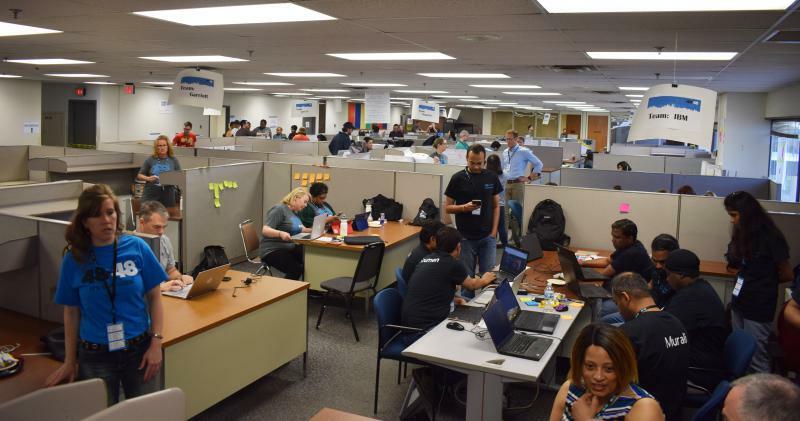 GLT spoke to McLaughlin and Jani around lunchtime Saturday, about 18 hours into the hackathon. They had just met with their project development team—nicknamed “R U Kitten Me”—that was also working on a site for a human services agency in DeWitt County. “I felt like it would be a good opportunity to use some of the skills I had, and be able to able to apply them and help nonprofits in our community, and get a better sense of what’s going on in our community,” Garcia said. Garcia’s team actually started work on the clinic’s website before Friday. They did their homework and learned about the clinic’s mission and needs. They attended a clinic luncheon last week and watched YouTube videos about the clinic. Jani said that research phase was helpful to clinic leaders too. Garcia also served as one of the organizers of the local 48in48 effort, on its social media team. Her team and the others filled out most of the second-floor office space at Rivian, the former Mitsubishi Motors manufacturing plant in west Normal. Meal and break areas were set up in other areas of the plant. Widely credited with bringing 48in48 to Bloomington-Normal is Emily Schneider, a business analyst for enterprise technology at State Farm and also a program manager coach for 48in48. She got involved with Atlanta-based 48in48 through a friend and has pitched in at hackathons in other bigger cities. Schneider was excited to bring 48in48 to her hometown. “Having it be in a smaller town, it’s very impactful,” said Schneider. The 48 nonprofits each get a new WordPress-based website and the training needed to keep it updated, as well as learning the basics on digital marketing strategy. That’s a big help as nonprofits—United Way and others—grapple with declining fundraising, said Taylor. It also fulfills a strategic priority for United Way to help “convene and coordinate resources” in the community, not just raise money. 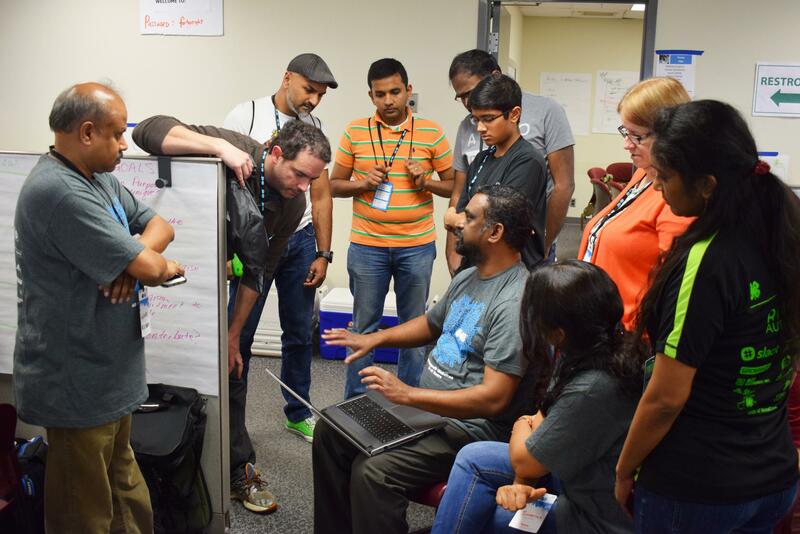 GLT's story about the 48in48 hackathon. 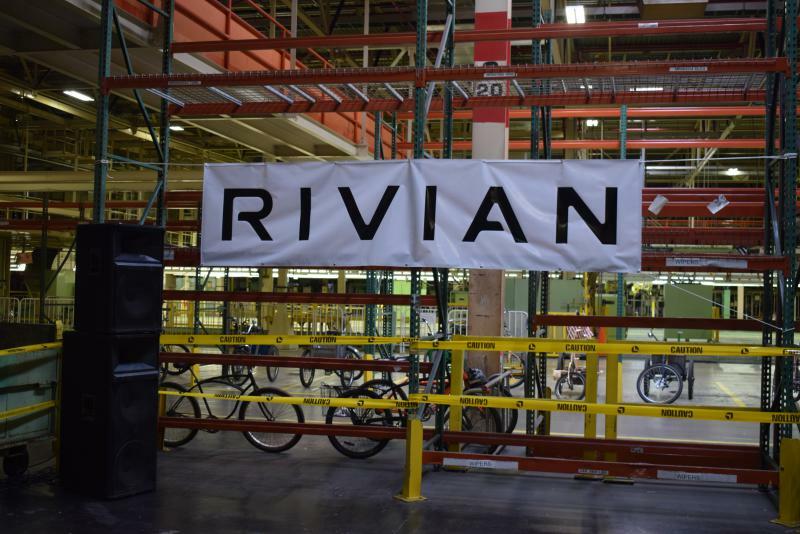 Two community leaders who got a peek behind the Rivian curtain Monday say they returned from Michigan more optimistic about the EV startup's future. 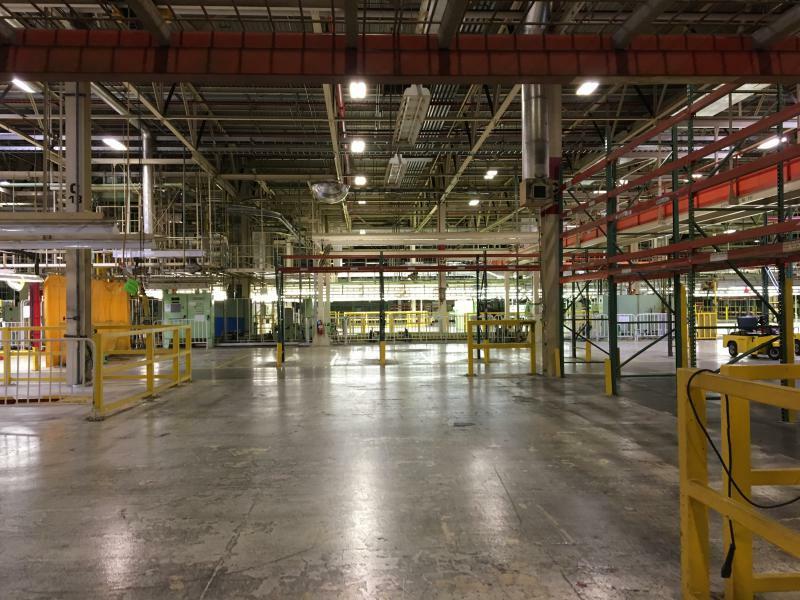 The head of the Bloomington-Normal Economic Development Council said Rivian Automotive has earned its property tax abatement for the year. 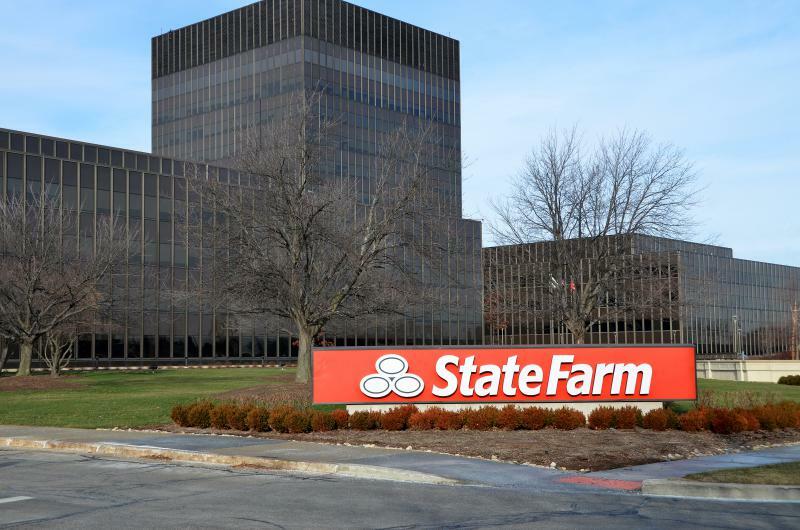 State Farm faces stiff competition on two fronts—from longstanding challengers like Geico and Progressive, and now from insurtech startups like Lemonade.